Power output: Somewhere between 150mW and 200mW. 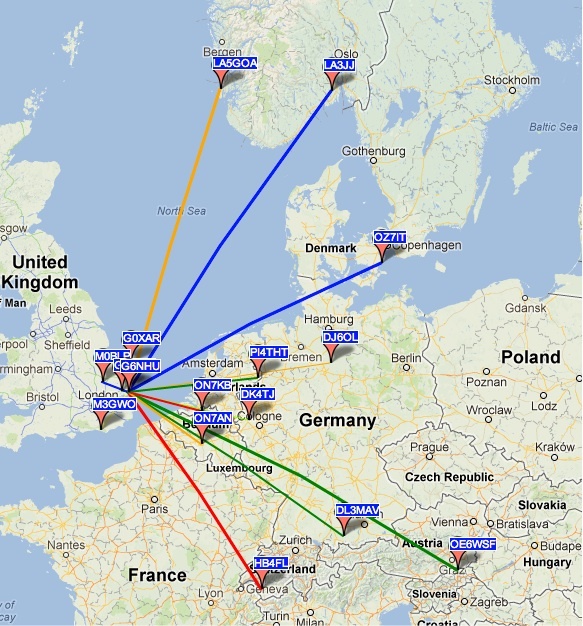 This entry was posted in Amateur radio, HF, WSPR and tagged WSPR. Bookmark the permalink.